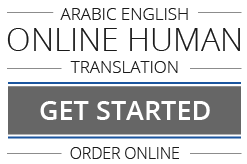 Arabic to English and English to Arabic Translation offered by our qualified and experienced translators in Legal Translation Services is endorsed all through the Arab world for its authenticity, clarity and perfection. Our Translation services in Riyadh, Jeddah, Mecca, Medina and Ahsa bestow us with a legendary status for Arabic to English and English to Arabic Translation of Deeds, Memoranda of Association, Divorce Certificates, Contracts, Powers of Attorney, Wills, Marriage Certificates, Death Certificates, Arab Official Gazettes Tables of Contents, Court Pleadings & Judgments, Laws, Birth Certificates, Academic Certificates, etc. Our credit and acclaim for Legal Translation Services in Saudi Arabia among well established law institutions speaks of our high quality.